Sea Isand and Ferry are Arnold Fang, Kayne Ho, Tim Tong and Timothy Wan. Lucky for them I’ve been listening to a lot of contemporary classical piano composers recently like Riopy, Nils Frahm and Olafur Arnaulds. So, my ears are ripe for a record such as their debut album, Crossings. Opening track Cloud eases us slowly into their world. Delicate piano and ominous cello lead us to the warmth of the saxophone and xiao flute. All the while a sweet and simple hook keeps reassuring us we’re safe. Adrift is inspired by the European refugee crisis and is probably the stand out piece on the record. The cello opens with an evocative, deep longing. There’s absolutely the feeling of the sea and hope here with Arnold Fang’s piano the backbone to this band’s sound. The thematic notes of the song, mirrored in the chocolatey saxophone and whimsical xiao flute. Salt Chronicles is a hefty 10 minutes and 52 seconds to the uninitiated in classical music. Its start is wonderfully cacophonous before settling down to a beautiful dance between the piano and the xiao. Another nice, simple hook gets a try on for size from each instrument before the composition turns darker and melancholic. The song is a real journey, but at times its tricky to work out what that journey is. It’s haunting and beautiful, with, at times, instruments fighting for the limelight, of this unobvious story. The intensity is reduced to a few fingers on the right side of the piano before we’re back to the delicacy that introduced this composition. Moments of real sonic harmony are here before a mildly abrupt end, which feels a bit incongruous. Living Under Water is a superb journey of a song with a wonderful minor tension from the piano, the saxophone however at times over complicates matters here. This is a thread that keeps coming back to me and I think that’s what’s missing on this record. Not so much what’s missing, but what we maybe have too much of. But on this piece, it feels like the instrumental layering is more in unison. Perhaps unlike Salt Chronicles. I love the increase in tension about halfway into the song. Flow of Time/Butterflies has a mood that could have it as the background to a film clip of two lovers in a park in autumn. In black and white. Like the two lovers, the piano and cello are both born to sing together. They bring it home with their final track, Low Flying, which builds to a beautifully warm crescendo. The notes of Moon River shout out to me like an old friend. Whether, this is an obvious nod or an unintentional reference, I’m not sure. 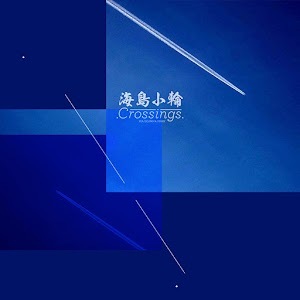 Crossings is a solid debut album from a wonderfully talented group of musicians. There are absolute nuggets within their music and I have no doubt they will learn how to turn those nuggets into beautiful jewellery. This album is available on bandcamp.